Cook delicious parathas in an efficient manner using the Premier Hard Anodised Tawa. With a solid built quality and a sturdy metal handle, this tawa has the perfect concave design to help you cook lip-smacking parathas, rotis, dosas and much more. 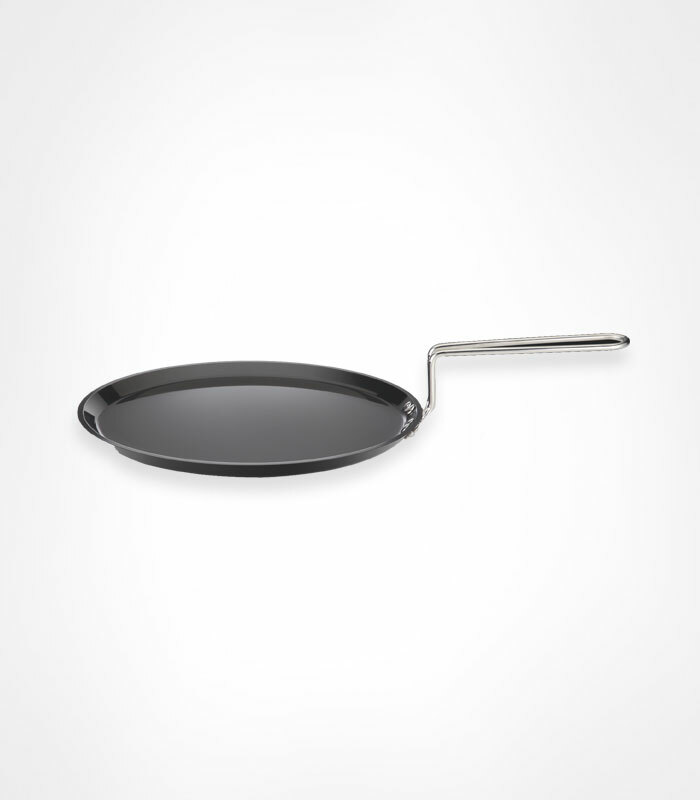 Compatible with gas stovetops, this tawa is ideal for everyday use in the kitchen. The concave bottom and hard anodised material enables fast cooking which results in crispier and tastier food. It is made from robust Material and hence would last long. The durable material and scratch resistant surface enables the use of metal ladles and spoons, providing further ease of use. It features a sturdy handle that stays cool even while cooking, making it easy to handle. Available in a unique black colour, this tawa can retain its looks for years to come. Its elegant design helps in improving the overall look and feel of your kitchen decor.